Disability Heroes – We Call It Disability, They Call It Destiny. » The Disability Heroes are here. Disability Heroes || We Call it Disability. They Call it Destiny. Learn about Cerebral Palsy, Down Syndrome and Spina Bifida with Cooper Price, Dakota Sharpe and Steve Boswell. Disability Heroes – We Call It Disability, They Call It Destiny. » The Disability Heroes are here. The Disability Heroes are here. 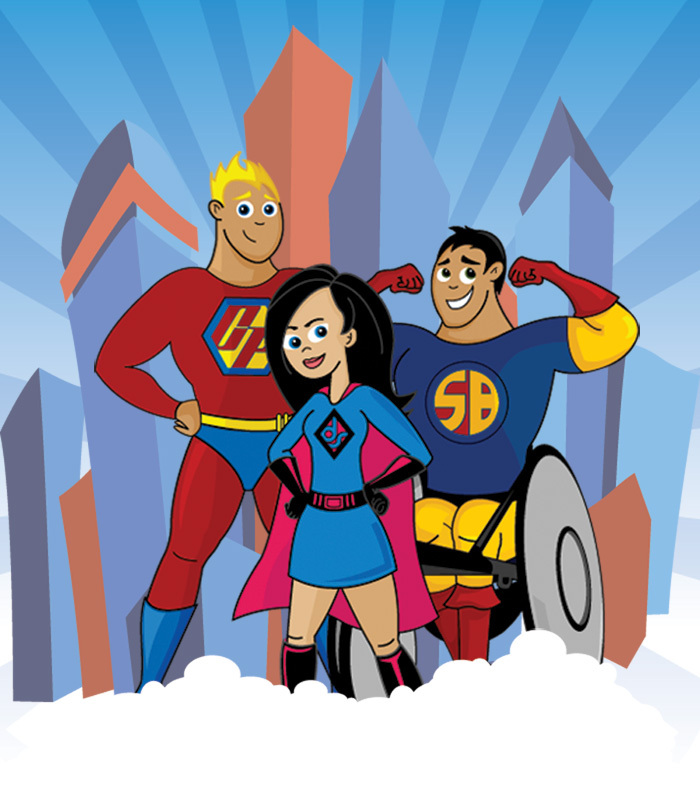 The Disability Heroes have arrived Cooper Price, Dakota Sharpe and Steve Boswell are very excited because they are ready to tell the world about Disabilities in a fun and exciting way. Check out there websites. Here you can learn about each heroes condition, learn about them and play groovy games.